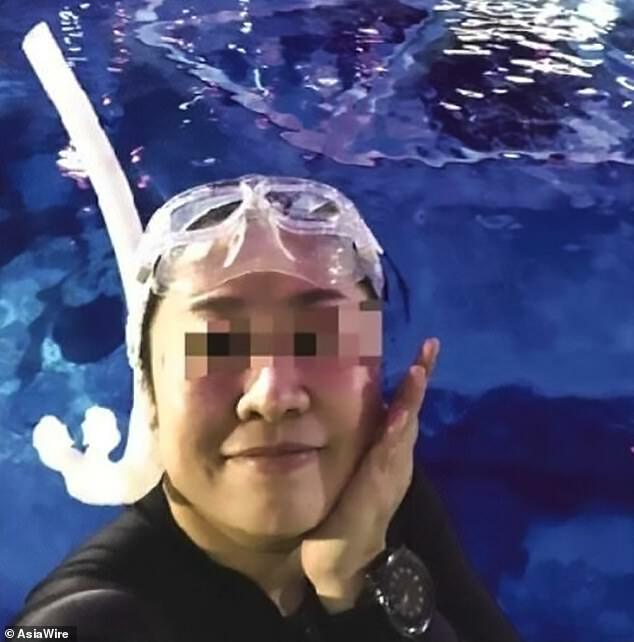 A woman has narrowly escaped death after being bitten by a shark during a diving lesson in an aquarium tank in north-east China. 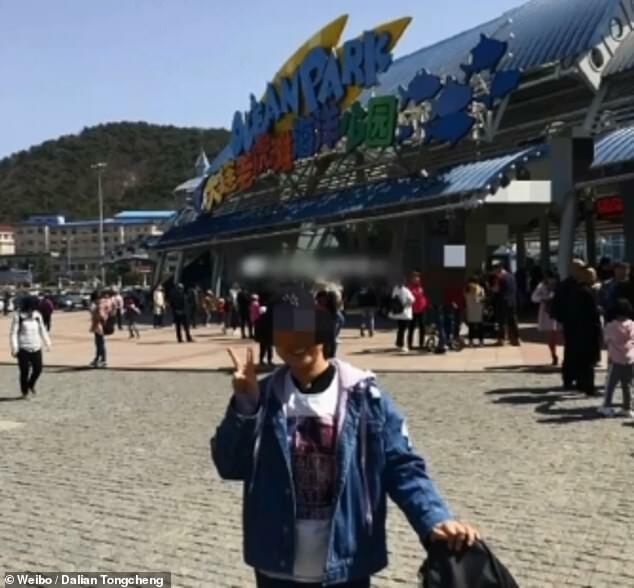 The learner diver, named in reports as Nana, was taking a lesson at the Dalian Laohutan Ocean Park in Liaoning province last Friday when a sand tiger shark bit her in the head, local media reported. 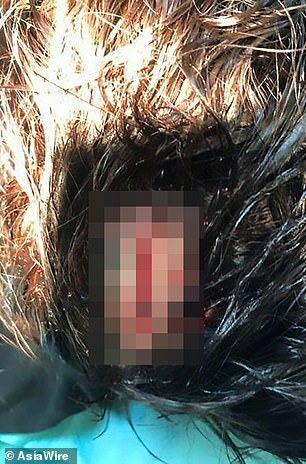 The woman was immediately rushed to hospital, where she was treated for wounds all over her scalp, forehead and jaw. 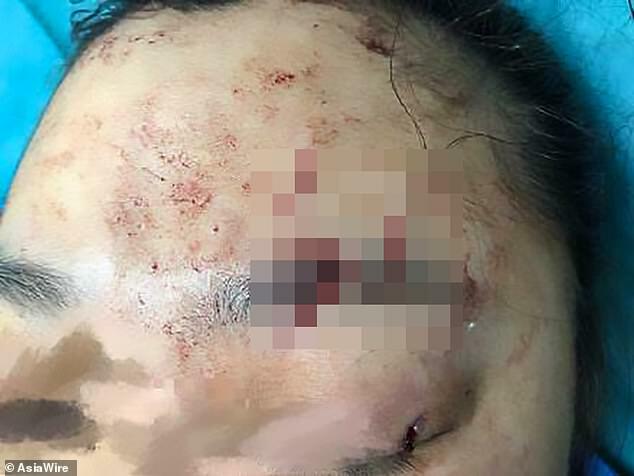 Horrifying photos of Nana’s injuries show deep bite marks and cuts on her face and head. 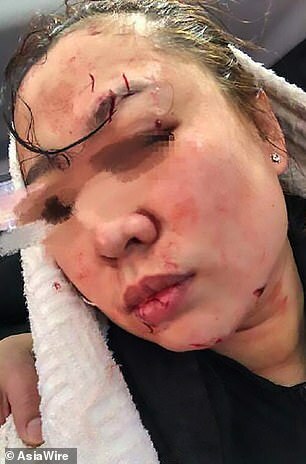 She received more than 70 stitches during a four-hour operation in hospital, according to Liaoning Evening News. The tank that Nana was swimming in held the aquarium’s sand tiger sharks, which are usually known for being docile and pose little to no threat to humans. An employee told reporters that the shark let go after biting the woman on the head once. She had purchased the Level 1 diving lesson for 3,600 yuan (£410) from a local diving club, according to the report. A text purportedly from the manager of the club said he would cover all the expenses of Nana’s surgery and any other necessary cosmetic operations in the future, plus a diving theory lesson. She remains under observation in hospital and is negotiating compensation with the club, the report said. 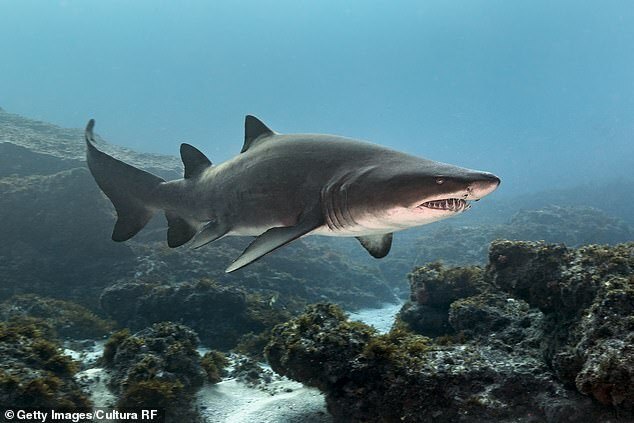 The sand tiger shark dwell in the waters of Japan, Australia, South Africa, the Mediterranean and the east coasts of North and South America and is a cousin of the great white shark. While many net users offered their sympathy to the woman, others questioned why were people allowed to swim in a tank full of sharks. ‘The park should also be responsible for this. 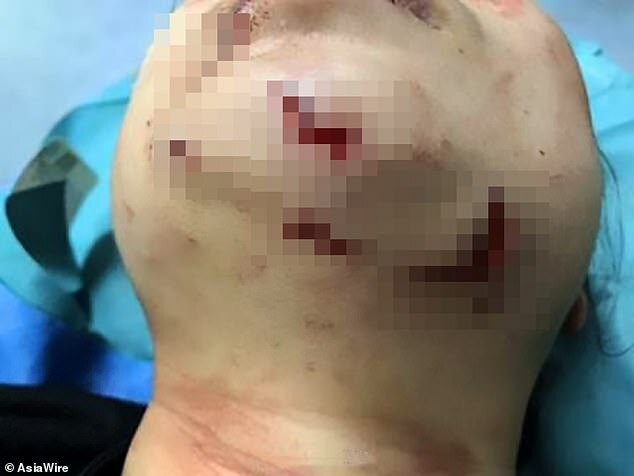 If the shark attacked her further, she would have died,’ one person said on Chinese microblogging site Weibo. ‘Luckily she wasn’t hurt elsewhere. What a risk!’ another user said. ‘What kind of activity is this? Why would they let her in with the sharks without proper protection?’ one person commented.